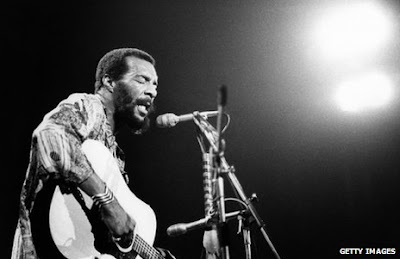 His improvised version of the gospel song Motherless Child evolved into Freedom at the festival and became an anthem of the 1960s hippie generation. The Woodstock concert film captured his performance for posterity. More recently, the soundtrack of Quentin Tarantino's award-winning slavery-era film Django Unchained featured Havens singing a version of Freedom. 'Fiery, poignant' His family said a public memorial would be announced later and asked for privacy in the meantime. "Beyond his music, those who have met Havens will remember his gentle and compassionate nature, his light humour and his powerful presence," it said in a statement. Roots Agency said Havens had been "gifted with one of the most recognisable voices in popular music". "His fiery, poignant, soulful singing style has remained unique and ageless," it added. Havens performed at US President Bill Clinton's presidential inauguration in 1993. He released more than 25 albums and other songs he recorded include versions of Bob Dylan's Just Like a Woman and the Beatles' Here Comes the Sun.